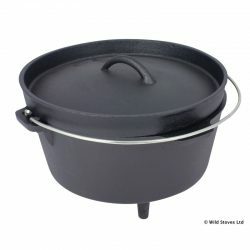 High quality, pre-seasoned heavy duty cast-iron Dutch oven: cook, fry or bake anything over a fire or stove! Solidly made, high-quality cast iron Dutch Oven. 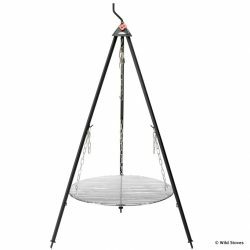 Pre seasoned & heavy duty with a carry handle. These Dutch ovens have three legs and a deep-rimmed lid, so you can pile hot coals on the top to make the perfect camp oven – you can even use it to bake bread. Dutch ovens are perfect for stews and casseroles, and can be used for baking and roasting over camp fires or placed in the hot ashes. They can also be used at home in a conventional oven. The Dutch Oven lid can be turned upside down and used as a frying pan/skillet. Note: these Dutch ovens have 3 cast-iron legs, making it unsuitable for use on some domestic cookers. 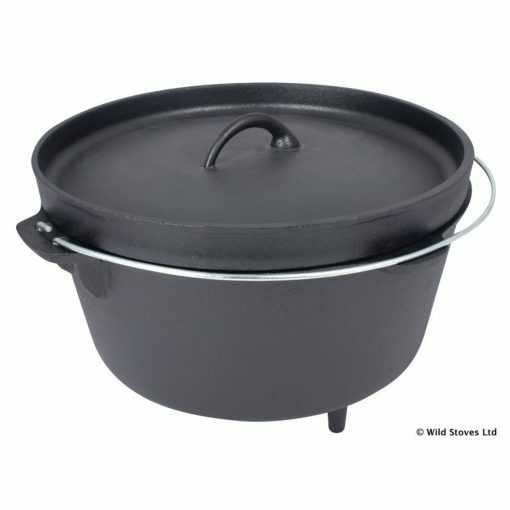 The 4 litre Dutch Oven is ideal for the Rocket Stoves. See Specifications tab for further details. A large bowl of soup for approximately 14 adults. 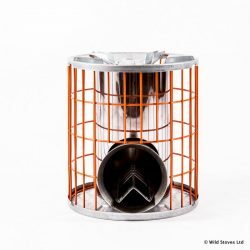 Excellent product, purchased for a recent camping trip and was a joy to use. 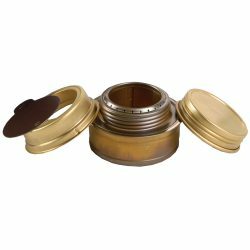 It is well made and we received excellent customer service from the store, ordered late afternoon, item arrived the following day. Highly recommended.